The kitchen is one of the most used spaces in the house. 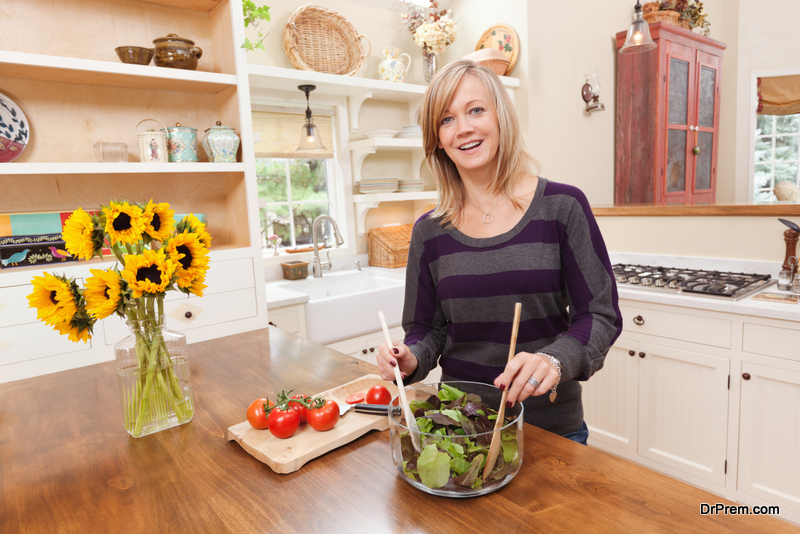 When you have a nicely decorated kitchen, it brings in a different look and feel. Well, to give your kitchen individuality, you can use a kitchen island. 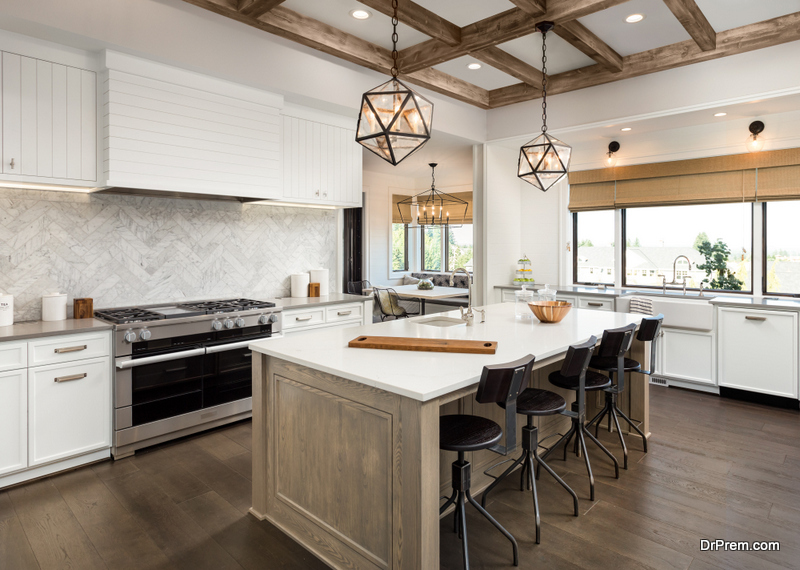 In this blog, you will get to know a few kitchen island ideas using your dining table. One of the easiest ways to convert your dining table into a kitchen island is by adding shelves. This will allow you to utilize the space to store things. Along with that, you can also use it as a dining space. When you add shelves, it gives you more space to keep things that you need. You can also bring in the effect of a kitchen island by adding a chest of drawers. 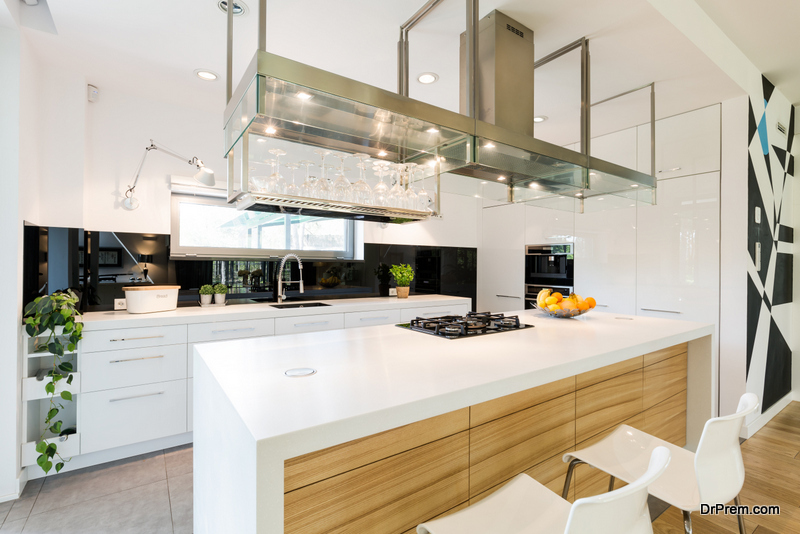 This will also help you to bring the kitchen island effect in your house. Dining tables hardly come with storage space; well you can bring in the kitchen island effect with wooden crates. This idea gives you the flexibility of using your dining table as a kitchen island while having the space for other things as well. This is also a budget-friendly option for people who do not want to spend too much money on re-doing their kitchen again. You can easily convert your dining table into a kitchen island by using rods and hooks. This way, you can hang things that you use regularly. It will also help to keep your kitchen cloth, towels, and other such necessary essentials at arm’s reach. With the help of the hooks, you also get the flexibility of storing the extra mugs easily. In case, you have a small-sized kitchen island and looking for a way to extend it; you can use the dining table. 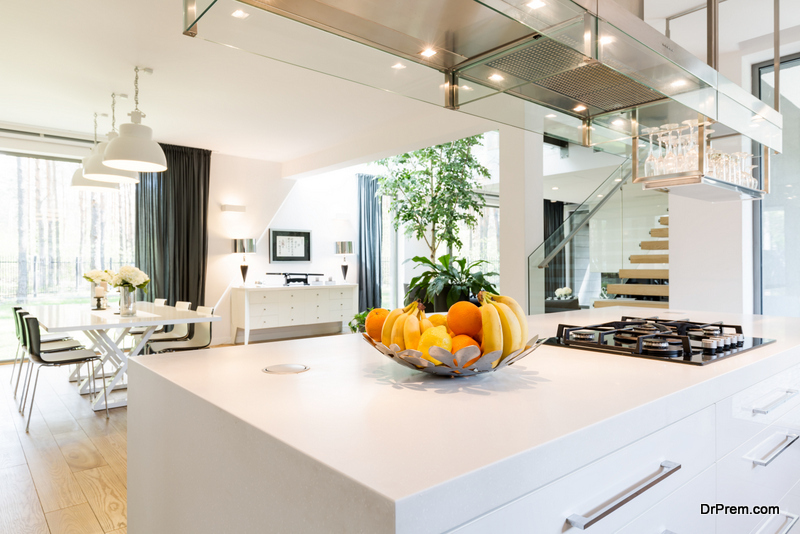 By creating the high and low effect, it helps to transform the look of the kitchen instantly. This is a good option when you have kids in the house. It also helps to save money since you do not have to worry about breaking down the current kitchen island and making a new one. Give your dining table a new look by making closed cabinets under the table. You can place this table in the kitchen to convert it into a kitchen island. Especially for small-sized kitchens, which come with an attached dining, you can extend the kitchen easily. With the help of the cabinets, it gives you a better flexibility to use the space the way you want. Another smart idea to create a kitchen island in your house with your dining table is using a chest of drawers. You can choose a chest of drawers of the same height as the dining table. You can place it in two ways, one creating the L-Shaped look and the other creating the classic rectangular shape. With this idea, you can easily shift the table and drawer around whenever you want to bring in a new look.